Danny Boy is probably the most recognizable Irish tune. But where did it come from? And what do the lyrics mean? The music is an old Irish tune. It was first written down in the 1800s, but it may be as old as the 1500s. It was an obscure and little know tune, and hundreds of different lyrics have been applied to the tune. The melody was called Air from County Derry or Air of Londonderry, depending upon ones' persuasion. It's also called Old Irish Air by the diplomati. In the early 20th Century, England's most prolific songwriter was Frederick Weatherly. Weatherly wrote hundreds of songs during his career. 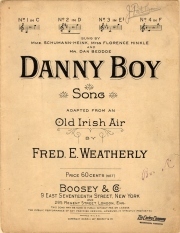 Weatherly wrote the lyrics to Danny Boy in 1910, and used an entirely different melody than we are familiar with today. Songwriters in those days made their living selling sheet music. This was before iTunes, or CDs, or 8 track tapes, or even records. But consumers and musicians paid for sheet music so that they could play the songs. 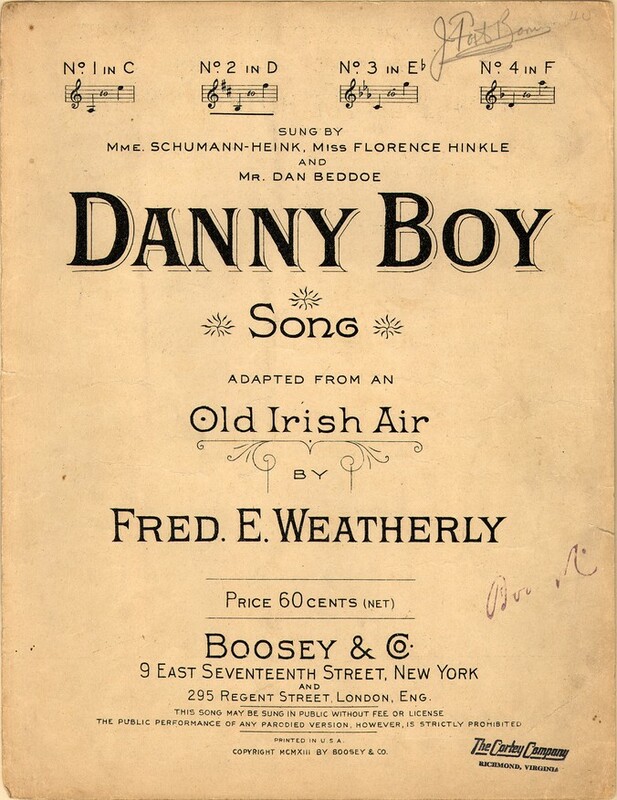 Weatherly's Danny Boy, with the other melody, was a total flop. No one bought the sheet music, and Weatherly went on to other projects. Weatherly's sister-in-law was an Irish-American. She was born in Ireland and lived in Colorado. In Colorado, she heard Irish miners sing to the tune of Air of County Derry. 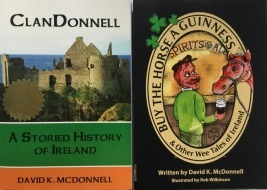 While visiting England in 1912, she suggested to Weatherly that he use Air of County Derry with his Danny Boy lyrics. Weatherly tried it, and loved it. The sheet music was re-released with the new melody and became very popular among Irish-Americans. It did not really catch on much at all in England or Ireland.